The scalable New York State map on this page shows the state's major roads and highways as well as its counties and cities, including Albany, the capital city, and New York City, the most populous city. To display the map in full-screen mode, click or touch the full screen button. To zoom in on the New York state road map, click or touch the plus (+) button; to zoom out, click or touch the minus (-) button. To scroll or pan the zoomed-in map, either (1) use the scroll bars or (2) simply swipe or drag the map in any direction. (The scrolling or panning method you use will depend on your device and browser capabilities.) At any time, you can display the entire New York road map in a new window or print this page, including the visible portion of the map. New York's Interstate Highways connect its major cities and facilitate travel between New York State and its neighbors. I-81 crosses central New York between Pennsylvania and Ontario, while I-84 crosses southeastern New York between Pennsylvania and Connecticut. I-86 traverses New York's Southern Tier region, and I-87 traverses eastern New York from south to north, between New York City and Quebec. I-88 connects Albany and Binghamton, while I-90 crosses upstate New York from east to west, touching Albany, Buffalo, and other cities. I-495 serves New York City and Long Island. New York's many auxiliary Interstate Highways serve New York City, Long Island, and several upstate cities. I-278 traverses New York City's outer boroughs. I-295 connects I-95 in the Bronx with I-495 in Queens. I-678 provides convenient access to John F. Kennedy International Airport from I-95 in the Bronx. I-695 and I-895 are short feeder highways that connect I-95 with I-278 and I-295 in the Bronx. I-495 runs from Manhattan, New York City to Suffolk County, Long Island. I-287 traverses Rockland and Westchester Counties, providing a connection between I-95 in the east and the New York Thruway to the west. I-190 and I-290 provide access to Buffalo and Niagara Falls from I-90, while I-990 serves Buffalo's northeastern suburbs. I-390 and I-490 provide access to Rochester from I-90, while I-590 serves Rochester's southeastern suburbs. I-481 serves the eastern and northern suburbs of Syracuse, while I-690 provides convenient access to downtown Syracuse from I-81 and I-90. I-787 provides access to Albany and its northeastern suburbs from I-90. I-790 provides access to downtown Utica from I-90, while I-890 serves the Schenectady area. The 285-mile drive from Dwight D. Eisenhower Lock to Niagara Falls runs parallel to the St. Lawrence River and Lake Ontario on the state's northwest border. Driving southwest, a collection of islets known as the Thousand Islands become visible, some of which are home to Victorian mansions accessible only by boat. Tibbets Point Lighthouse, built in 1827, offers sweeping panoramic views from the western tip of Cape Vincent, and Sodus Bay Lighthouse overlooks Chimney Bluffs in Fair Haven. The route also runs through Rochester and Lewiston, ending at the American side of Niagara Falls. 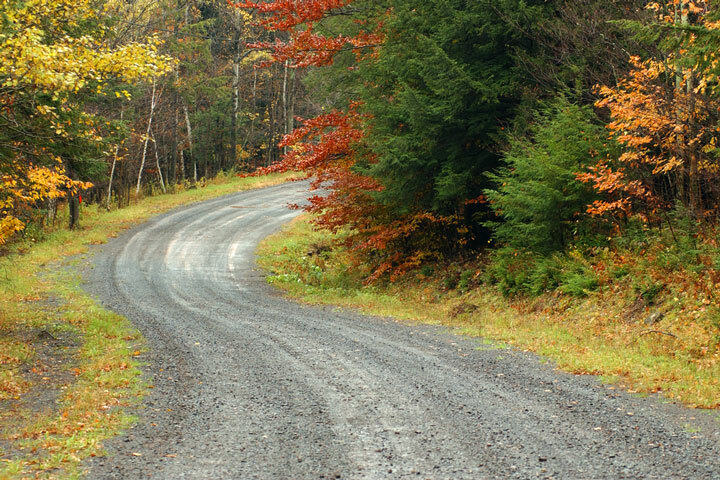 More information about scenic roads in New York is available on this New York State Scenic Byways page. For more information about New York's roads and transportation infrastructure, visit the New York State Department of Transportation website. For New York road traffic conditions, visit the Federal Highway Administration's New York Traffic Information page.